Explore the new Chevrolet Traverse at our dealership, Buick GMC of Beaverton, near Beaverton and Hillsboro. Its eye-catching exterior comes with chrome accents, LED signature lighting, as well as available D-optic LED headlamps, making this sports utility vehicle turn heads wherever it goes. With seating for eight and 98.2 cu. ft. of cargo space, it has loads of room for you and your family. A suite of safety features like Rear Park Assist and Lane Departure Warning will help prevent collisions. Overall, 5,000 lbs. available maximum towing capacity and available onboard Wi-Fi make the Traverse an excellent vehicle for weekend road trips. Look through our inventory of new Chevrolet Traverse models in Portland. 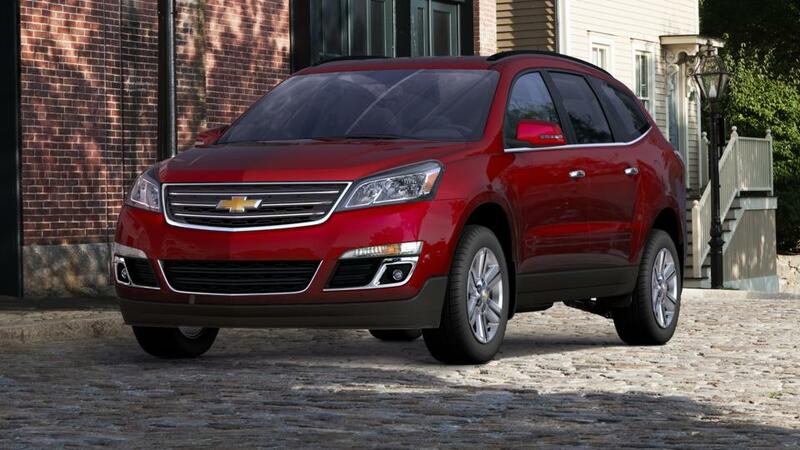 For more details on test driving a Traverse, give us a call at (877) 636-3388.